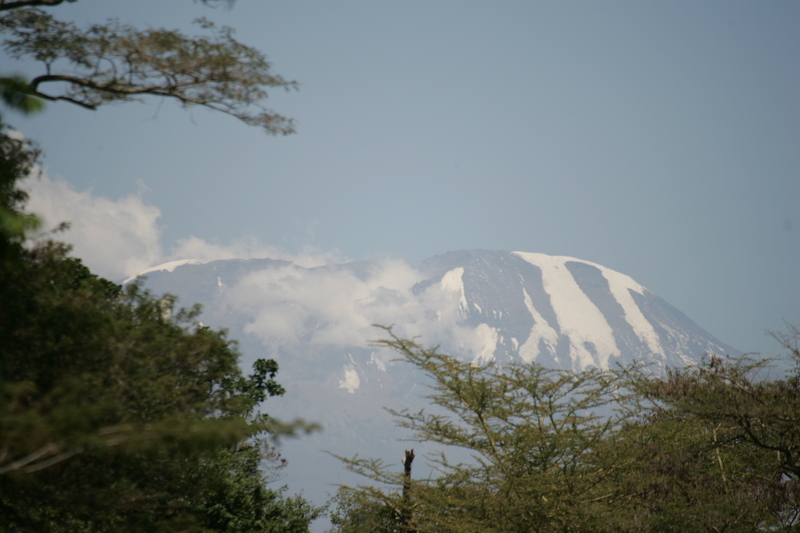 Mount Kilimanjaro Climb – Marangu Route – The Great Canadian Travel Co.
One of the most popular routes to the summit of Mt. 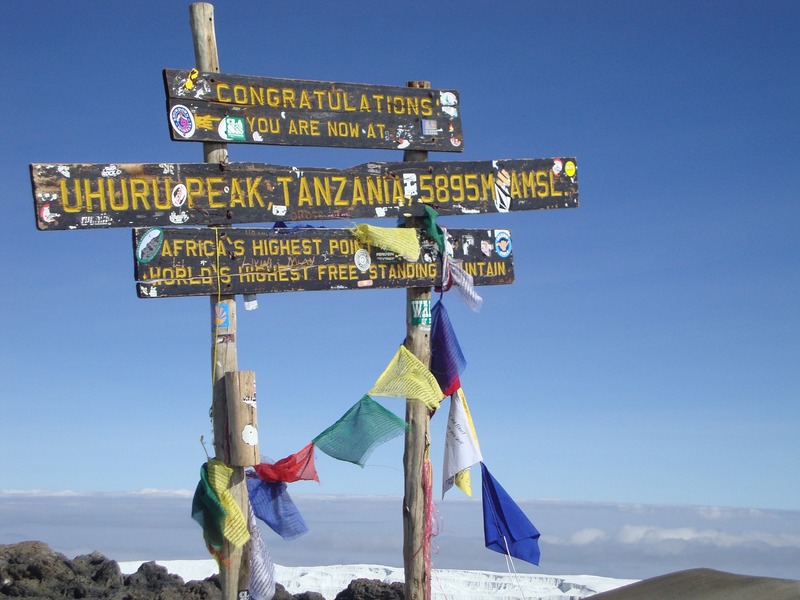 Kilimanjaro, Tanzania, the Marangu route is classified as a moderate trek rather than a climb, suitable for adventurers who are not experienced in the mountains. Rates are per person based on single or double occupancy. Arrive at any time to Moshi and head to the hotel either on your own or pre-book the optional transfer. Feel free to explore, but make sure you’re back to the hotel in time to meet the group at the pre-departure meeting. The adventure begins tonight. After introductions, your CEO will review the details of your tour and give any last minute details and updates for the trip. While it is always the intention to adhere to the route described, there is a certain amount of flexibility built into the itinerary and on occasion it may be necessary to make alterations. Today you will hike through the forested, lower slopes to Mandara escarpment. Most days the hiking will begin early in the morning, with hikes of around 5 to 6 hours. The guides will set a moderate pace, so as to allow for time to acclimatize to the altitude changes. Guides will continually repeat the words, “pole pole” (po-ly, po-ly), which means “go slowly” in Swahili. Stretch out and scan the scenery from the comfort of a private vehicle as you travel from Moshi to the Marangu Gate (about 45 minutes). Walk 4 hours to the Mandara Hut (2743m, 8999 ft) after registering at the gate. The slopes of Mt Kilimanjaro are classified as rainforest zone so there will likely be rain in the afternoon while travelling under the lush canopy. Enjoy the view while hiking through the lower terrain and possibly spot some of the exotic wildlife in the area. The Mandra Hut has sleeping bunks, running water and flushable toilets. Continue up through the upper rainforest zone and reach the moorland zone at 3000m (9842 ft). In this zone plants grow to outrageous heights like the giant lobelia and giant groundsel that can reach up to 5m (16 ft). Enjoy the view of the semi-alpine zone’s plants and ravines. Reach Horombo hut (3720m, 12205 ft) and get some rest. Evening hike to the summit via Stella Point. Appreciate the beautiful sunrise from the roof of Africa, then descend back to Horombo Hut. Take a quick moment to enjoy the view and celebrate a successful climb before starting the descent to Horombo Hut. Enjoy a well-deserved rest during the last night on the mountain. Transfer by private shuttle bus to Moshi (approx. 45 mins) and spend the night in deserved comfort. After breakfast you will check out of your accommodation and depart. Extensions are available if you want to spend more time here or continue on to another destination. *Meals on the mountain are prepared for high carbohydrate intake to facilitate climbing. They are not hotel standard meals and will lack variety. Special diets can be catered to with advance notice. **Rescue fee covers evacuation from the mountain to the park gate only. It does not cover any medical treatment or the cost of transportation to the local hospital. We recommend that travellers purchase travel insurance that includes medical and evacuation cover. 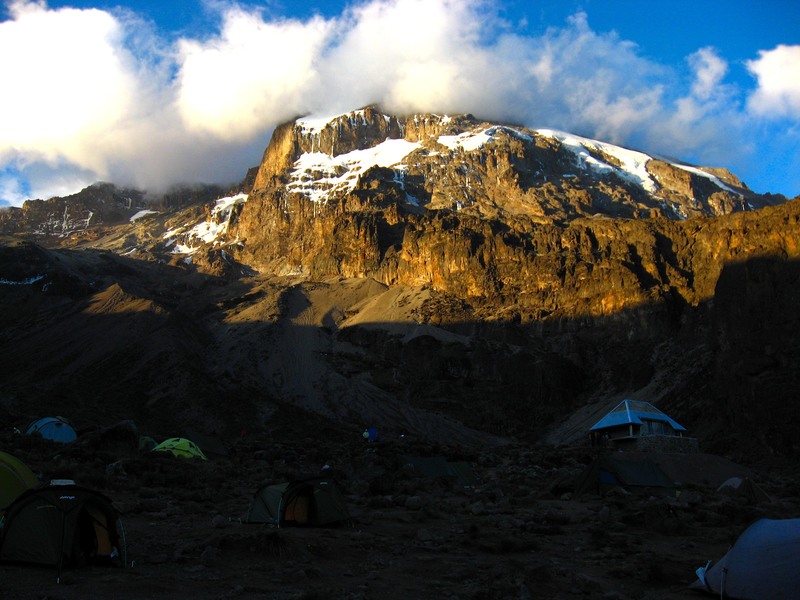 The Marangu route is used by almost 40% of all climbers and uses comfortable mountain huts with solar power lighting. Although the trail can be a little crowded at certain times of the year, the views are beautiful and each day of walking progresses through a different climate zone, adding considerably to the interest of the trek. 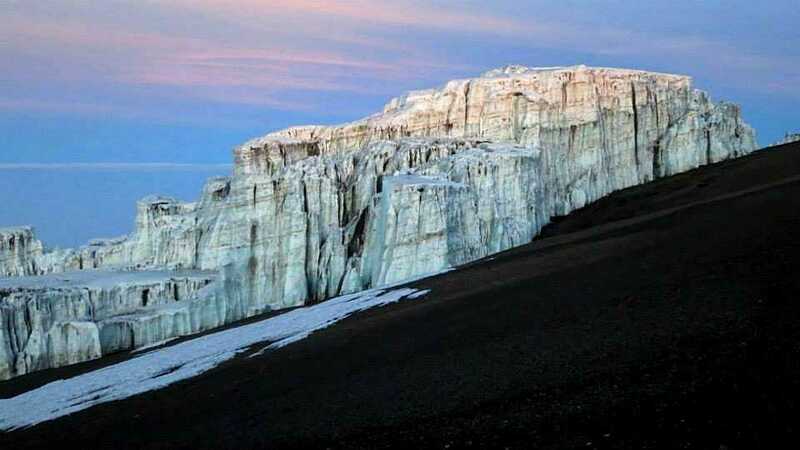 The real highlight is the walk from Gillman’s point along the crater rim to Uhuru Peak, passing close to the spectacular glaciers and ice cliffs that occupy most of the summit area. The views as the sun rises behind Mawenzi on a clear morning are absolutely magnificent – The Rift Valley, Mt. Meru and the Masai Steppes stand out from the endless plains, almost three vertical miles below. 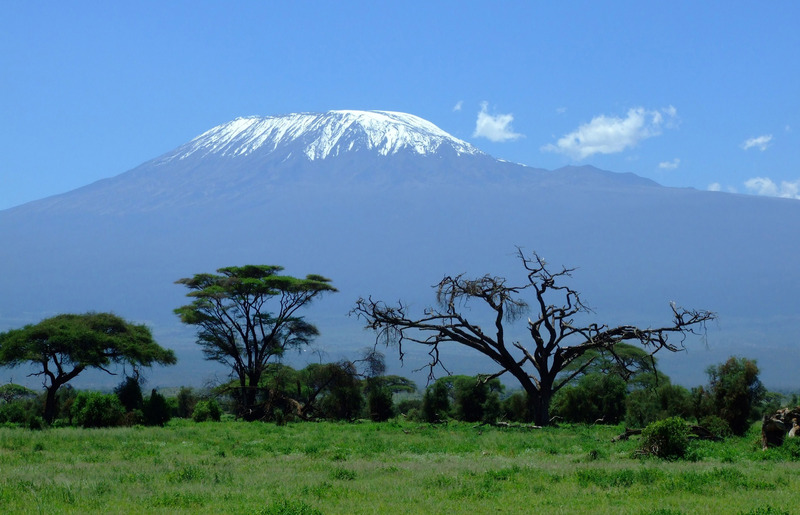 At 5,895 m (19,340 ft), Mt Kilimanjaro is Africa’s highest peak and this adventure along the Marangu Route will get you to the top safely, quickly, and with your budget in mind. Overnight in mountain huts and awake ready to conquer the slopes. 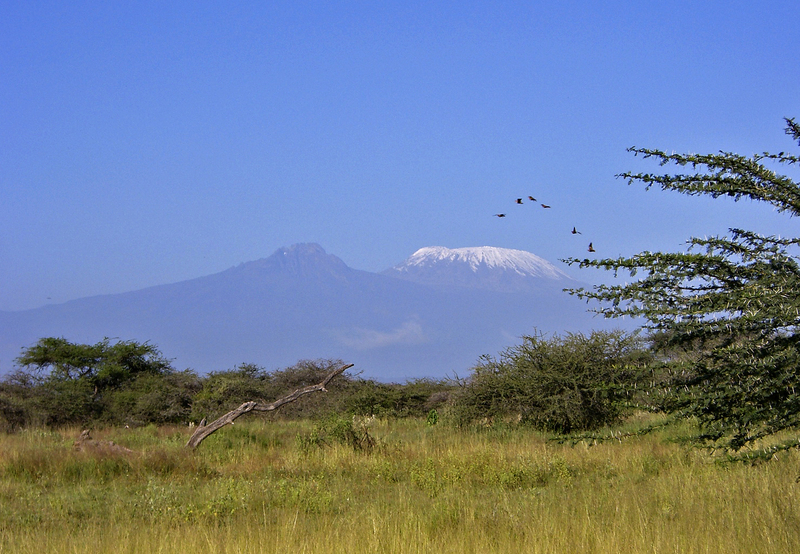 As a leader in Kili treks, we’ll take you to new heights in adventure on your way to the roof of Africa. 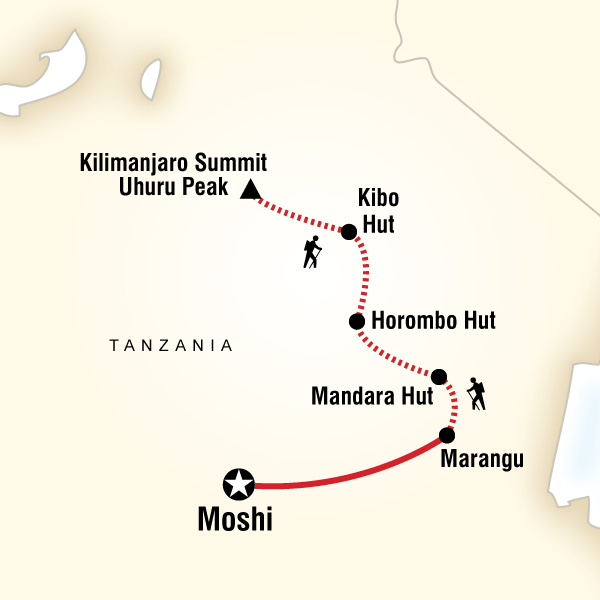 Affectionately known as the “Coca-Cola Route” due to its popularity, Marangu covers forests, moorlands, and “the Saddle” (a high-altitude desert), on its way to Kibo Hut. This is the easiest route to summit – with a catch. The trail is well maintained but because of the quick ascent, the success rate is not as high as some other, longer routes. Other tour options: There is an 8 day Machame route hike and a 10 day Lemosho route hike should you want to do a longer, more gradual ascent than that offered on the Marangu route. Please inquire. Planterra Foundaton – The Planterra Foundation is a non profit organization that supports local communities through social, environmental, small business, and emergency relief projects around the world. The fund helps provide sustainable solutions to the places you love to visit. Fifty percent of our planet lives on less than $2/day. For the price of a coffee, you can make every day of your trip count by giving back to the communities you visit through Planeterra.